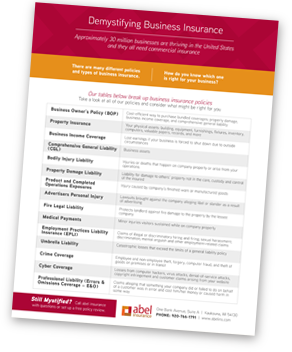 Commercial Property Insurance protects the contents of your business against fire, business theft and other business risks. There are many different types of property insurance and levels of coverage available. Property insurance can be tailored to fit your needs since no two businesses are the same. It’s important to determine the specific property you need to insure for the continuation of your business and the level of insurance you need to replace or rebuild. To determine your property insurance needs, the best thing to do is to take a complete inventory of all your business property. Do you have a referral bonus for referring new clients to your agency? We do have a referral bonus program. If you refer someone to our agency and we write their insurance, you receive a gift card, pen or other item. You are also entered in our quarterly referral drawing to win a $50 gas card! Business Insurance is confusing. 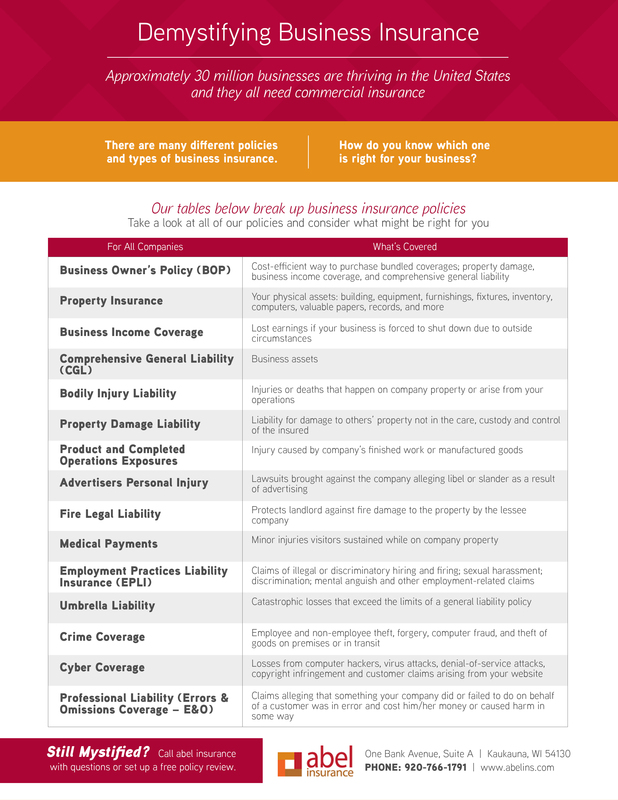 Print our simple to digest business insurance resource and become an expert.